How to Make Pictures Smaller Without Photoshop? When someone asks you for photos you’ve just taken the other day at the party it’s always a problem. That’s because you most likely used a high resolution camera and you probably have hundreds of megabytes of photos you can’t just send by mail in a couple of seconds. But you can minimize them quickly with a free software called FILEminimizer Pictures. Step One: Download Balesio FILEminimizer Pictures and install it on your computer. 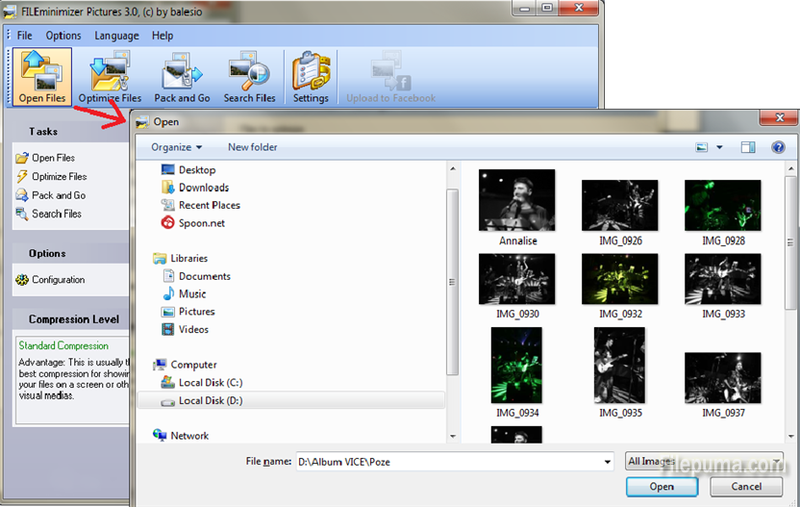 Step Two: Click on “Open Files” button and go to the target folder where you have your photo album. You can select all the images with Ctrl + A or just keep the Ctrl button pressed and just click on the ones you want to minimize. 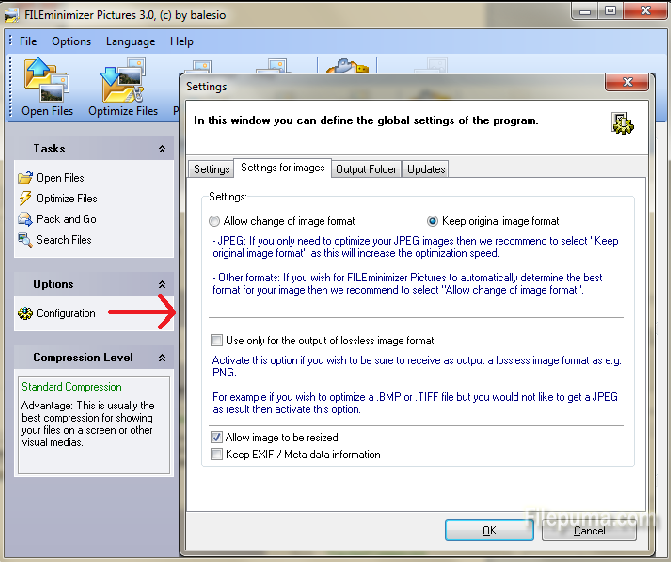 Step Three: Click on the Options/Configuration line on the left and in the new window select “Settings for images” and then mark the “Keep original image format”. The optimization will be quicker. Step Four: Last thing you have to do is to hit the Optimize Files button, sit back and relax while the software produces smaller versions on your photos, keeping the originals intact. Step Five: As you can see in my example, my 1.3 MB photos on average were reduced to an average of 0.18 MB files.